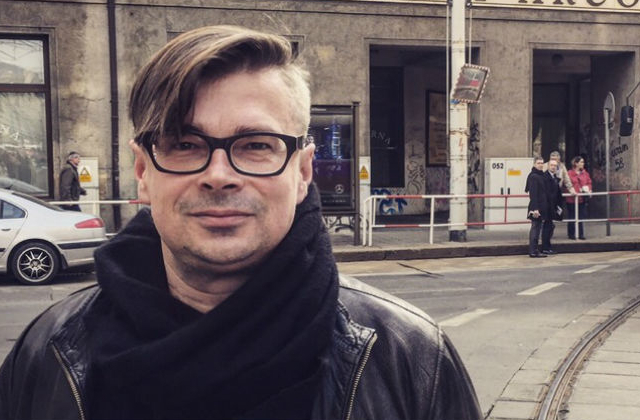 Writer-in-residence Jaroslav Rudiš is awarded the prestigious Preis der Literaturhäuser 2018 for his exceptional and multidisciplinary contribution to German literature. He will receive this prize during the Book Fair in Leipzig on 15 March. Jaroslav Rudiš is a Czech writer, journalist, playwright and musician. Rudiš became known after publishing his first novel Nebe pod Berlínem (“The Sky under Berlin”) in 2002, the tale of a Czech teacher who chooses to leave his job and to start a new life in Berlin, where he plays music in the underground, which – along with the ghosts of suicide jumpers – gains almost mystical importance to him, and joins an indie rock group. It was one of the most successful Czech books of recent years. His collaboration with draughtsman Jaromír 99 led to the publication of three closely connected graphic novels taking place among railway employees, Bílý potok (“White Brook”, 2003), Hlavní nádraží (“Central Station”, 2004) and Zlaté hory (“Golden Hills”). The trilogy has been adapted into an animated feature film, Alois Nebel, which was released in 2011. In 2013, Jaroslav Rudiš and Jaromír 99 set up The Kafka Band, performing postpunk music all over Europe. Het volk boven, the Dutch translation of his second novel Nationalstraße has been published this month. Jaroslav Rudiš about "Het volk boven"
The Preis der Literaturhäuser is a literary prize, awarded to German authors annually by the Netzwerk der Literaturhäuser during the Leipziger Buchmesse. It is awarded to authors with for exceptional text and presentation skills. The prize includes a book tour at the eleven Literaturhäuser in Germany.